I hope you’ve enjoyed my series about tips for outsourcing work. Today’s topic is about how to train outsourced staff. Most entrepreneurs read through the 4 Hour Work Week or find out about employing a cheap Virtual Assistant (VA) and immediate get excited to hire overseas. Slow your roll buddy! You’re making moves without thinking it through. Make a plan first and then execute or else you will just be wasting your time and money. Most people do not realize that the success of outsourced staff is based on the leadership and processes you put in place to prepare them for their job. In this post I would like to outline my experience with tips on training outsourced staff. I like to break down my onboarding process into two different sessions, orientation and then training. Orientation is designed to describe the company’s history, background and culture. I believe that this is a necessary process because it sets the tone and expectation for the new hire moving forward. They need to know the company’s why. They also get a feel for how to communicate internally and how to ask for days off or deal with disciplinary actions. If you have a company handbook, this would be the perfect time to go over some of the key points. Training is a whole separate session dedicated to the actual job duties for that new staff member. I recommend that you create a list of job duties and responsibilities before hiring. Just like a regular 9-5 gig, the success of an employee is based on the structure you provide them. During this part of the conversation spend time going through the nitty-gritty about the processes that the staff member will be responsible for. Discuss who they will be reporting to and an expectation for accountability. 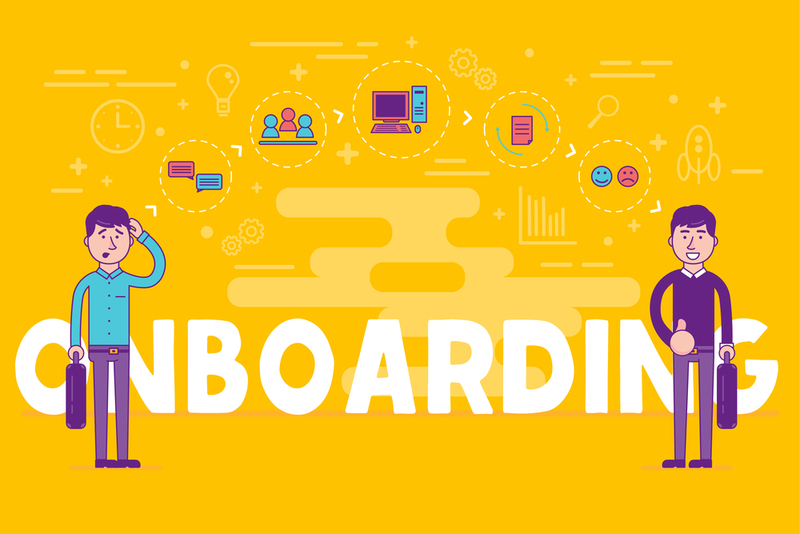 In my experience, the whole onboarding process is a huge time vampire. If you’re constantly hiring staff, the process of orientation and training eats up several hours out of your week. You know that time is money. Spending unnecessary time giving a speech every week about how the company was built is a big waste of time. If you have learned a thing or two about being successful, then you know the next word in this blog post is automation! Try creating a series of videos for the onboarding process. They should be broken down into small digestible snippets of 3-5 minutes. Just do a simple screen capture of a power point presentation with you talking in the background to make it easy. On the first day, after their employment contract is signed, send that new hire these series of videos to review. You can even make a simple multiple choice test to make sure they learned what you said. It will probably take a week to set up but the initial investment will save you a boatload of time in the long run. I should also give an honorable mention to WalkMe. If you’re trying to train a new employee to use software, then this is more efficient than watching a video. Walkme is an application that creates popup messages on software with a training note or video. It simplifies and automates the process of having to explain how the software works. I hope you found this post informative. If you’ve been following along, then you know that the process of bringing on outsourced staff has a lot of considerations. Please send me your feedback! If there is something I missed or a cool tip you can share, I’d love to hear it! Check back next week where I wrap up my discussion with monitoring your staff!